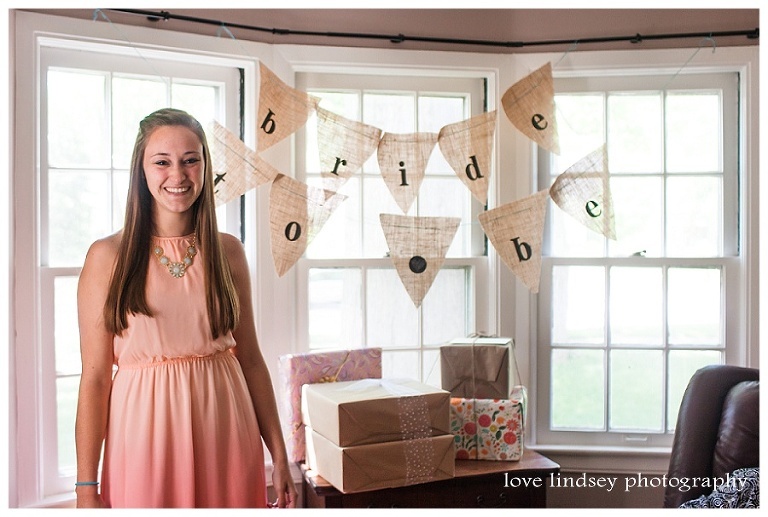 I loved being apart of Megan’s wedding day and was lucky enough to play a small part in helping with her shower. (I put together the prizes) It turned out wonderfully and the details were so cute. 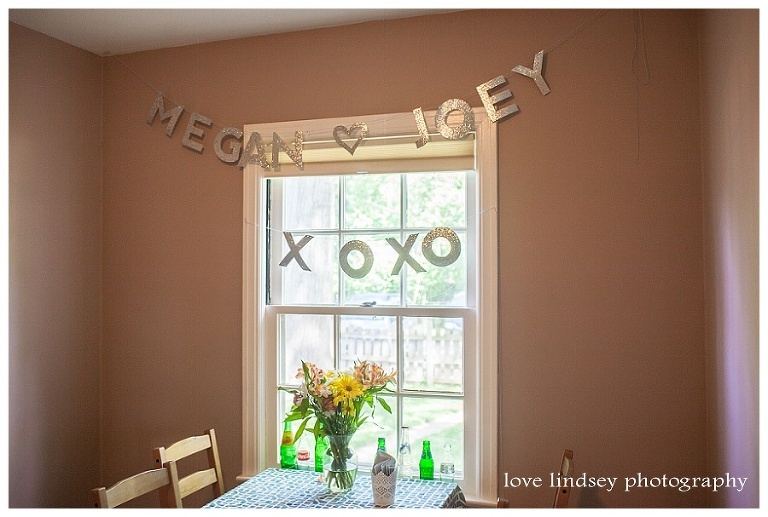 It was a warm May Sunday when we all got together to celebrate the marriage of Megan to Joey. We played games, ate all of Megan’s favorite foods, and watched her open wonderful gifts. 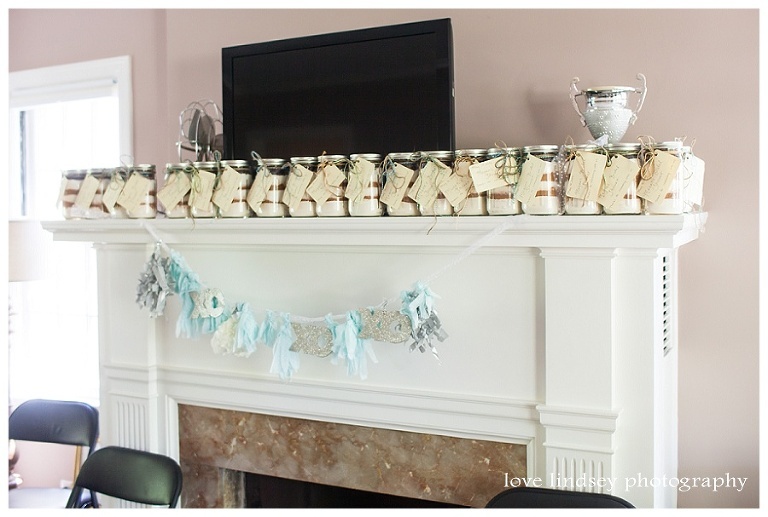 The favors were jars of brownie ingredients which is another favorite of Megan’s. Megan looked absolutely stunning and I am just so happy for her. 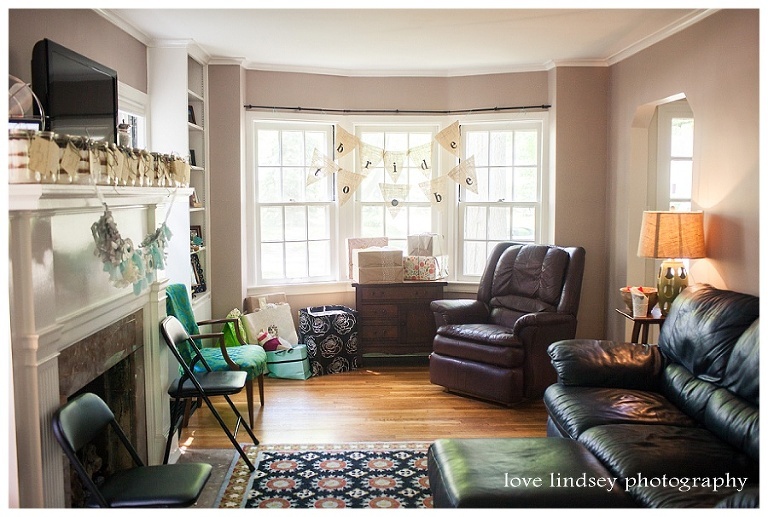 Sarah’s cute living room all decorated. I had lots of marriage advice for Megan since at the time of the shower I had been married for a whole week! Aren’t these little guys the best? Made by Sherry’s Berries. Megan and her soon to be sister in law Sarah enjoying the mimosas. I put together the prizes for the games. Megan and all of her sisters.